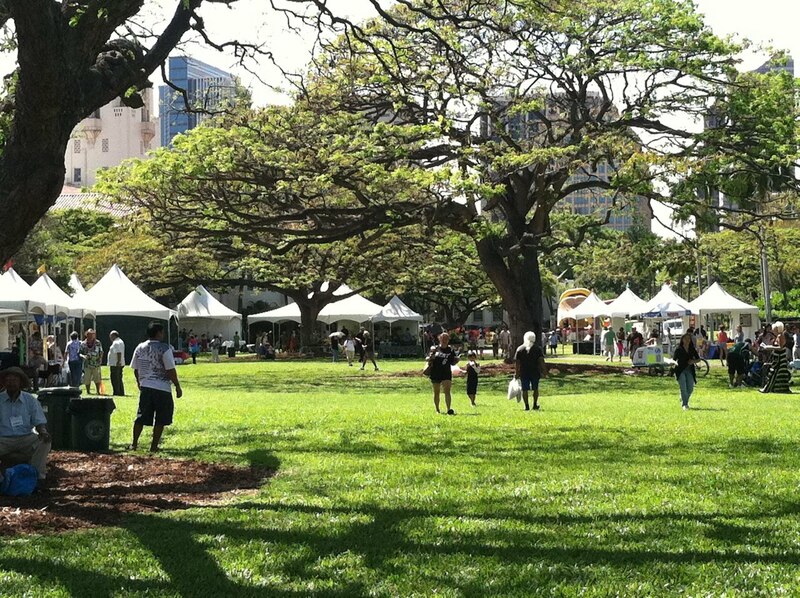 Desperate to find a writing partner and get back to a routine of writing, I attended the Hawaii Book and Music Festival at Honolulu Hale (City Hall) yesterday. A friend of mine from high school and college set up an e-introduction with his aunt of Belknap Publishing. Set on the grass, under the trees that surround City Hall were the white booths of participants. I entered from a sidewalk path to find a Barnes and Noble booth. Sitting on the table at the corner of the booth were copies of Hotel on the Corner of Bitter and Sweet . Since the author is a past participant of the Squaw Valley Community of Writers and a friend of a friend of mine from the year I attended, I took this as a good sign. I walked past that booth to find the Hawaii Book Publishers table and met Jodi Belknap. She introduced me to everyone she knew who walked or stopped by her table. Mark had told me earlier that Hawaiians don’t want to interfere in someone’s life. In order to get help, I needed to ask for it. I actually said to one man, “I need help. I have to find writing partners and a writing group.” This man gave me the name of a friend to contact. 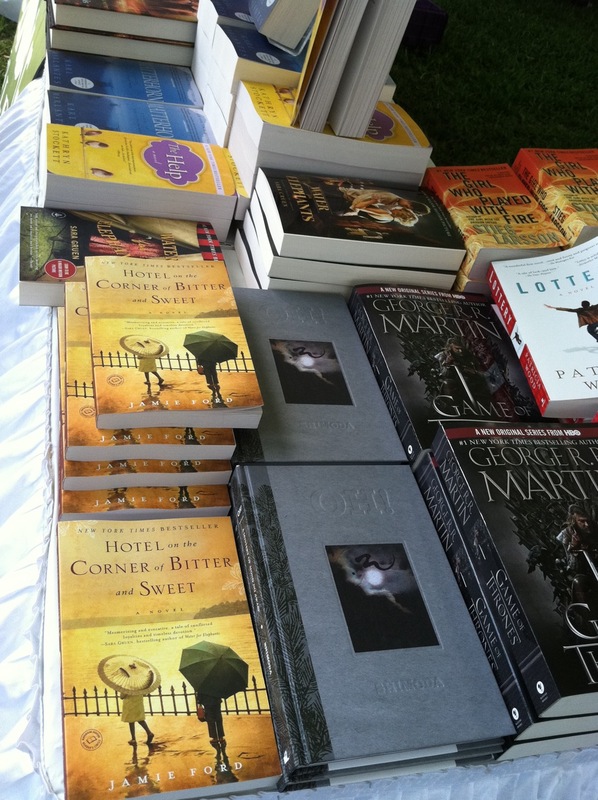 It seems romance writers and poets abound in Hawaii, but not so with memoirists. I’m following up with everyone and am grateful Jodi is willing to help me get my writing life settled in Hawaii. Jodi also introduced me to a friend from the Bishop Museum, who works in the collections department. I told them about the photo of my dad and uncle on Ala Wai Canal in 1938 and how my grandpa was working on the Lurline (a Matson cruise ship) during the attack on Pearl Harbor. Maybe I’m supposed to dig around the Bishop Museum for more 1930-40’s artifacts. Are there Matson related photos and letters hidden there? 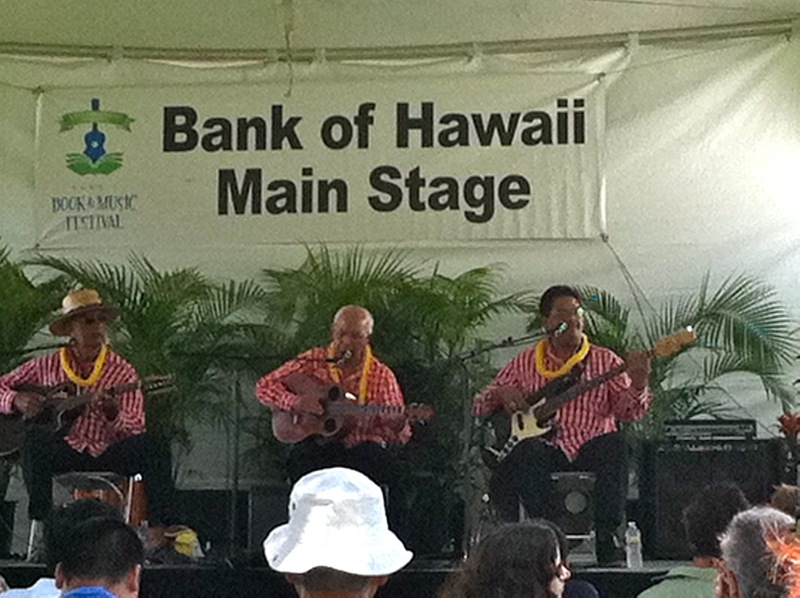 After visiting Belknap Publishing, I wandered the paths among the grass to the music stage and listened to happy Hawaiian sounds while cooling off under a tree. When I saw a stream of people walking into a dark tunnel, I wondered if I was missing a secret auditorium with guest speakers. No, it was the parking garage; underground and disguised as a green, grassy hill. You can see it in the photo. You’d never know cars were parked under the tranquil, grassy knoll where kids were playing. 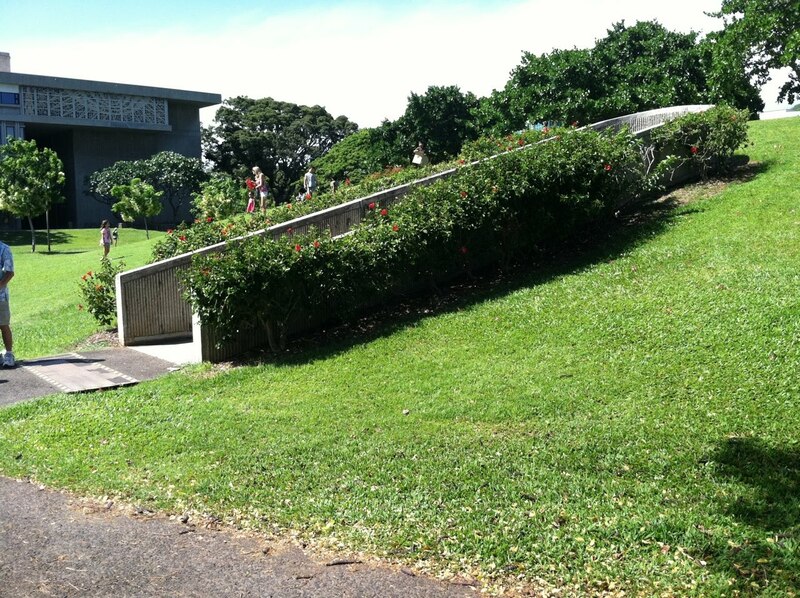 Oahu has hidden collections in museums and underground parking garages. Now I need to find the underground memoir writers. Later I’ll write about the statue at Bishop Museum found through dreams.